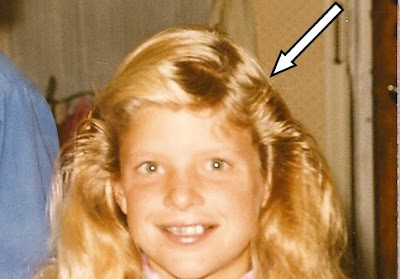 I had a request for proof of my version of Farrah Fawcett feathered hair, which really resembled "Sticky Wings." So, here is the proof. Enjoy. And then never mention it again. In fact, go ahead and burn your computer. Brodi, thinking she looks quite a bit like Farrah, if she could just get rid of that darn retainer. Also from Friday's post, what happens when an epileptic eel falls for a flopping fish, and they decide to procreate? Do you ever meet someone, and know instantly that you'll like them? It happens rarely for me. But it happened the first time I met Emily. She is truly a talented, funny, quirky pile of molecules, and I am so lucky to call her a friend. When I read her book THE WAY HE LIVED, and later a draft for her next book BACK WHEN YOU WERE EASIER TO LOVE, I was so impressed with her economy of words. She can say in six words what would take me fifty. Anyway, enough about my inferiority complex when it comes to Emily. The signed book winners will be announced at the bottom. If you get a chance, say hi to Emily in the comments. She loves comments. On to the interview! My road to publication was fraught with disappointment and peril. When I give a quick recap of my journey, it ends up sounding easy. It was not! It also ends up sounding shorter than it was. I submitted my first manuscript fall 2001. I saw my first novel in print fall 2008. I started seriously writing young adult fiction in college. As an English major at BYU I took a class on writing the young adult novel and knew that was what I wanted to do for the rest of my life. I submitted and got rejected. I got married. I graduated from college. I bought my first house. I submitted more. I got rejected more. I applied to the MFA program in Writing for Children and Young Adults at Vermont College. I learned tons, had great advisors, and made terrific friends. I graduated from Vermont College with a novel finished that I felt good about (it was not one of the manuscripts submitted/ rejected previously). Carrie Jones, one of my VC BFFs, read the new manuscript and liked it. 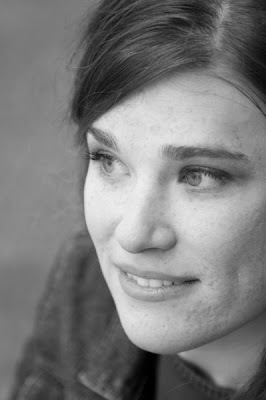 Her own YA, Tips on Having a Gay (ex) Boyfriend, had debuted from Flux earlier that year. Flux, an imprint of Llewellyn Publications devoted exclusively to YA fiction, had just opened its doors, and Carrie recommended I submit to her editor, Andrew Karre. I did, he liked it, and the rest is history. 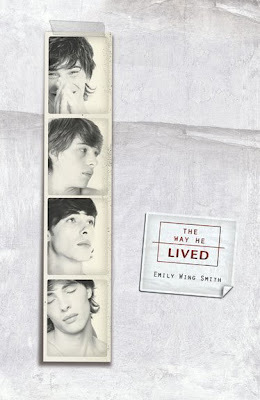 The Way He Lived was published a year later. My next book, a YA entitled Back When You Were Easier to Love, will be released from Dutton (Penguin) early 2011. 1. What is your favorite part of the writing process? Getting a new story idea! I love it when scenes come to me in bits and pieces and I start patching them together. It’s a high like no other. 2. Where do your ideas for novels come from? How do they evolve into a fully formed plotline? When you write, do you draw on past experiences or acquaintances? If so, who was your inspiration in this book? How often do you draw on personal past experience when you write or is more of your writing imagined? Usually, I take the ideas for my stories directly from my life—from things that have happened to me or to people I care about. I’m an embellisher by nature, so although events are often lifted straight from reality, they become fictional as I write them down. As a teenager, I moved to a community where a boy my age had recently died on a Boy Scout camping trip. Occasionally, I would meet people who had known and loved him, and I was amazed by their diversity—Bad Boys, Good Girls, and everyone in-between. It’s interesting to get to know someone only through what others say about him—especially when you know you won’t get the chance to meet him yourself. The resulting story is The Way He Lived. 3. Are motifs in novels premeditated? Do you write a novel planning on having a running motif? Or, does a motif emerge as you begin writing and you take it and run with it through the rest of the novel? I can’t speak for all novelists, but I never start a novel with a motif or a symbol in mind. Often, after I write a few scenes I’ll notice that I’m approaching a lot of the same themes in different ways, and that helps me realize what the book is really about. I never start out thinking, “I know! In this book I’ll use the color burnt sienna to represent the plight of the common man!” But often times I’ll see that I’m using similar images, and I’ll try to play that up. I haven’t thought about this question since junior high! But I do remember that at the time, my favorite word was “sashay,” so I think I’ll go with that. 7. What compelled you to write/become a writer? I’ve always wanted to be a writer, even before I could write. What compelled me? I can’t really say, since I don’t remember ever not being compelled. I always wanted to write the kind of books that I was reading (or were being read to me). At age five I wanted to write and illustrate picture books, at age eight I wanted to write chapter books, at age eleven I wanted to write the next Babysitters Club. I guess when I started reading young adult fiction, I stopped wanting to read or write anything else! In fact, while I still read some books for adults, I prefer YA. 8. Why did you decide to write from many different perspectives instead of just one? People often ask me why I chose to write the book with multiple narrators and points of view. I didn’t really choose to write it that way—this story came to me as a collage of voices, each voice telling me how he or she was dealing with Joel’s death. As the voices came to me, I would write down snatches of what they said (interestingly, very few of these “snatches” remain in the book). I would draw lines from one voice to another as their connections became clearer to me. As I figured out more about each character’s role in Joel’s life, and his role in theirs, I would draw more lines. It’s actually a pretty inefficient way to write a book, and I wouldn’t recommend it, but for me it was the only way. 9. Was it hard to hear the individual voices of these characters, and how did you know when you had found them? 10. If you could take one picture of a dessert, and it couldn't be chocolate cake, which dessert would you choose? I’m actually really picky about which desserts I eat (this is for health reasons and in effort not to weight 300-pounds-plus). However, I’m not at all picky in what I photograph! 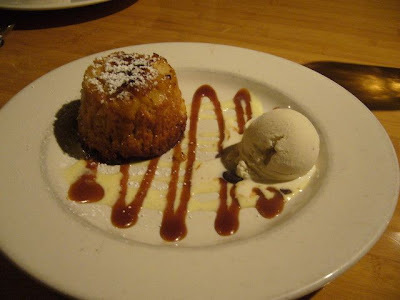 This is my favorite, a mini pineapple upside-down cake from Roy’s, a restaurant in Kona, Hawaii. 12. Do you think getting an MFA at Vermont College biases editors in writers' favor automatically or did your schooling have nothing to do with publishing success? Ha. Success. That’s funny. Anyway… The whole MFA: yay or nay question is a hot one, and I don’t know if there really is an answer. I loved my experience at Vermont College. I was in a position where I had the time and resources to attend. I loved spending two weeks every six months with like-minded people talking about writing. It was part summer camp and part boarding school. I was already a full-time writer, so my heart was completely invested in the program. That said: I recommend the program to other writers only if they are looking for that experience; only if they are committed to writing, to spending a great deal of time and money simply to learn more about the craft. I do not recommend it as a place to go to network, to meet editors, or to “get a foot in the door.” Any of the Vermont College faculty will tell you it’s not a program on how to get published. If you expect that, you will be sorely disappointed (and out a lot of cash!). Do editors favor VC graduates? I know a lot of editors respect the program and respect its graduates, but you still have to submit manuscripts like everybody else. Some editors may have special requirements for VC grads, but I don’t know of any. You may end up meeting someone at school who can help you in your career (it happened to me in a roundabout way) but don’t count on it. 13. Who's your favorite Dawson's Creek character? Joey. She’s not the one I relate to best, or the one whose actions I like most. She’s not my favorite character for any reason of substance. She’s just so beautiful! 14. Did you ever watch Felicity? Alas, Felicity was mainly on when I was in high school. I watched very little TV then, both because I was busy and our TV’s were generally monopolized by my four younger brothers and sisters. So no, I’ve never seen it. 15. What authors do you most admire or relate to? I am extremely fortunate to live near some amazing YA authors like Sara Zarr, Ann Cannon, and Ann Dee Ellis and Louise Plummer. Not only do I look up to them, I’ve been mentored by them in different stages of my writing career. I also grew up reading and loving the work of veteran YA writer M.E Kerr. I’m dying to meet her someday! And of course, my fellow writing group members are some of the best out there. 16. Do you have any published authors who are your mentor? If so, how do you make those connections? Like everything in writing, I think finding mentors is a matter of luck, skill, and hard work If you want to be a writer, it’s important to go to conferences and workshops, take classes, and do whatever you can to learn your craft—that’s where you meet authors who can help you. It especially helps if you’re a good writer, but even that can be overcome if you have persistence and good story ideas. If you live somewhere isolated from a writing community, you can still meet other writers online. If you’re lucky, you can even develop relationships with authors by checking out their website, commenting on their blog, or emailing them (Don’t go crazy with the emailing, though. And don’t email an author you’ve never met/corresponded with and ask her to read your novel). 18. What would you ask another author if you had the chance? It depends on which author. When I’m reading different books, I’ll think, “I would love to ask the author how she did this,” or “I wonder how/why the author did that.” I guess part of being a writer is that it changes how you read. Yay! I love winning things. Do you need me to send you my info again, or do you still have it? Awesome interview! I love learning about the constant uphill battle that is trying to get a novel published. I'm looking forward to reading Emily's novel as well. I still have your info. Congratulations! Bro--I wish you would bring back that feathered hair look. That will NEVER go out of style. I agree with Emily, sashay is a great word. Her book is impressive to be able to take so many voices and put them all together in the book. She did a great job. I like these author interviews...good questions and good answers. Thanks to Brodi and Emily for the wonderful interview. It was insightful, interesting and fun. Brodi - you could be the one to bring back the Farrah Feathered hairdo! Sam- Thanks, but you're sorta the last person I would ask about style. Una- I'm totally gonna bring it back. Then I'm gonna perm my hair, and tease my bangs. Great post--and not just because I'm in it! Love the hair almost as much as I love the video. Ah, eels and fish, together at last. Great Farrah hair. She was such the icon of the 60's. Emily- thanks again for the interview! Erin- icon of the 60's? That would make you really really old. Dave made me say "the 60's". He, of course, would know. Yay for using a lot of my questions! I especially love the one about the dessert. Oh, I am so behind on my blog reading! I just got caught up with all the wedding/dating stories and fish and eels mating. Very funny!! Also, great interview with Emily. I love that I can brag that both of you are my friends. See you at the library tomorrow! Valynne- How can I not use the dessert question? Bree- That's what happens when you get 150 comments on a single blog post. You get behind. It's a good problem to have, though. Sorta like your diamond shoes being too tight.